Lowering of operating costs, because not the entire wheel but only the wheel tyre requires replacing at the end of its lifecycle. All of our resilient wheels have, as a common element, an elastic layer between the steel wheel tyre and wheel centre. It comprises a number of individual rubber or ring elements with precisely matched elasticity and damping properties. 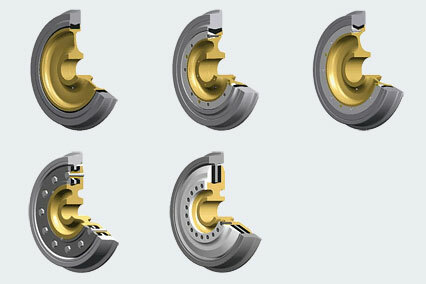 Suitable measures also ensure that the wheel has the requisite conductive continuity. The ‚Bochum single-ring wheel‘ comprises a wheel tyre, the rubber elements and a one-piece web disk. It has been used in more than 200,000 commuter train applications worldwide. This newer version has a divided wheel body facilitating dismantling and refitting of the wheel tyre—even under the vehicle in the appropriate installation situation. Wheels of this type have been sold more than 50,000 times. The BO 2000 is a consistent development of the BO 84 design. 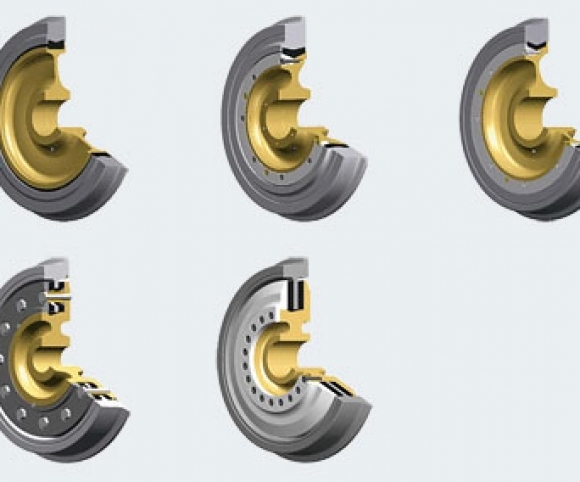 While retaining the uncomplicated fitting procedure, the wheel’s axial rigidity has been significantly increased. The highly spring-deflected double-ring wheel was specially developed for suburban railway vehicles with limited primary suspension. Unlike older double-ring wheels, this wheel can be manufactured with a smaller running tread diameter with comparable wheel loads. This highly spring-deflected double-ring wheel was specially developed for the high wheelset loads of modern low-floor railway vehicles. Thanks to the particular design of the wheel, load-bearing capacity could be increased by 30% over the familiar ‚BO 01‘ type.